This contemporary hotel is located right in the action near the stylish Lower Downtown putting you in the perfect position to experience everything this diverse city has to offer. Spend evenings wandering the pubs and galleries and snacking on rocky mountain oysters (before you try these be aware that they are bull’s testicles – we found out the hard way). If you don’t fancy those try the Hotel’s restaurant Edge, which has the cities only wood burning grill and as a result can churn out the most perfect locally sourced steaks. In between Lower downtown (LoDo) and the CBD, the Four Seasons is in the heart of the Theatre district and a mere 30 minutes from the airport so it won’t be long before you’re experiencing the abundance of culture and entertainment. 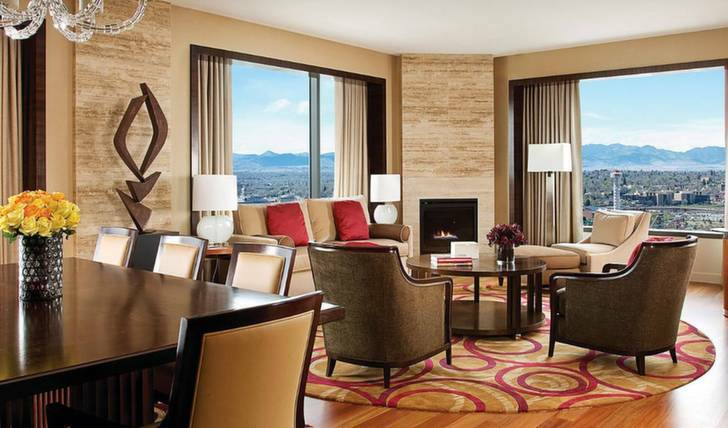 The 239 rooms and suites of Four Seasons Denver are each furnished in an urban-chic style designed to reflect Colorado’s natural surroundings. The rooms themselves, though spacious, have nothing on the oversized picture windows which offer incredible views across downtown Denver and the not-so distant Rocky Mountains. So as you awake in your sumptuous king-sized bed, look out on views worth getting out of bed for. The little touches such as under floor heating in the bathrooms and a rooftop pool make this hotel luxury on all fronts. The location is also what makes it a favourite – if we are going to do Denver, we have to do it right, so being in the thick of it is essential.